The accounting basis on which a company prepares its financial statements can have a significant impact on how the financial statements are interpreted by the reader. Think of it as a language. We all have to communicate with one another, but we can do so in so many different languages. Similarly, businesses have to account for their financial activity, but can do so under different bases. Each basis is unique, and without understanding the ins and outs of each one, you might be misled by the numbers you see. There are many other bases of accounting besides GAAP and Tax, but these two are the most commonly used by organizations both small and large. GAAP stands for Generally Accepted Accounting Principles in the United States and is an accrual method of accounting. U.S. law requires publicly traded companies to report under this basis. For example, the financial statements that you see for the Googles and Apples of the world are GAAP financial statements. GAAP is also required by many banks and investors for privately held companies as well. GAAP is so widely used and/or required because it provides for comparability; comparability between competitors, comparability between industries, and comparability between years. However, it comes with an exhaustive (and exhausting) set of standards and rules governed by the Financial Accounting Standards Board, which, depending on the transaction, can lead to complex and unintuitive accounting. In the financial accounting world, the income tax basis (or Tax Basis) is one of several OCBOAs, or Other Comprehensive Bases of Accounting, which refers to an acceptable basis of accounting other than GAAP. Simply put, Tax Basis accounting is the same basis of accounting that a company is required to use for filing its federal tax return. Compared to GAAP, Tax Basis accounting is much less complex and often results in less onerous footnote disclosures in the financial statements. It also means less work in preparing the tax return, and limited reconciliation to calculate taxable income. 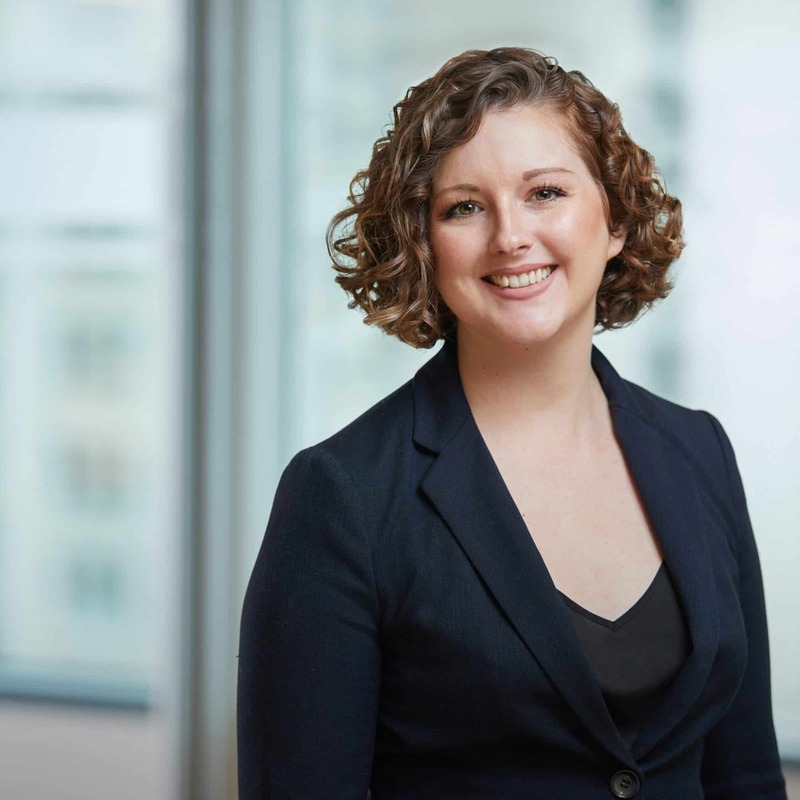 If allowed by creditors, investors, and other financial statement users, accounting under Tax Basis may make sense for a privately-held company. 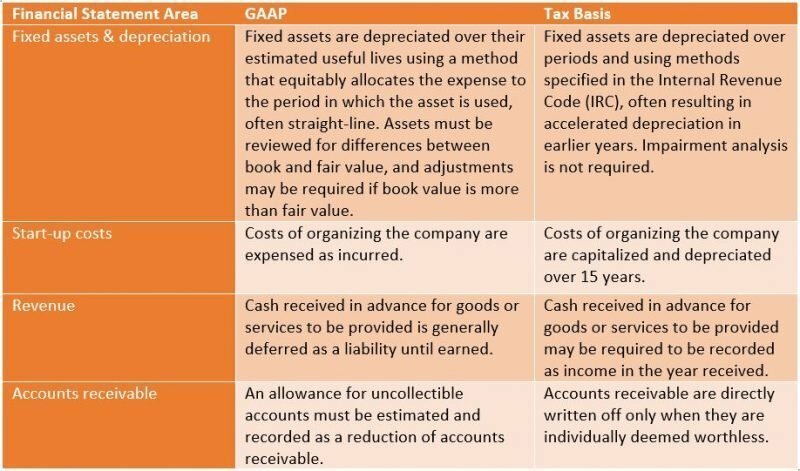 The differences between GAAP and Tax Basis reporting can vary in significance depending on the industry of the reporting entity, but some of the most prevalent differences are summarized in the table below. The information in this table assumes that the tax-paying entity has elected to file its tax return under the accrual method.